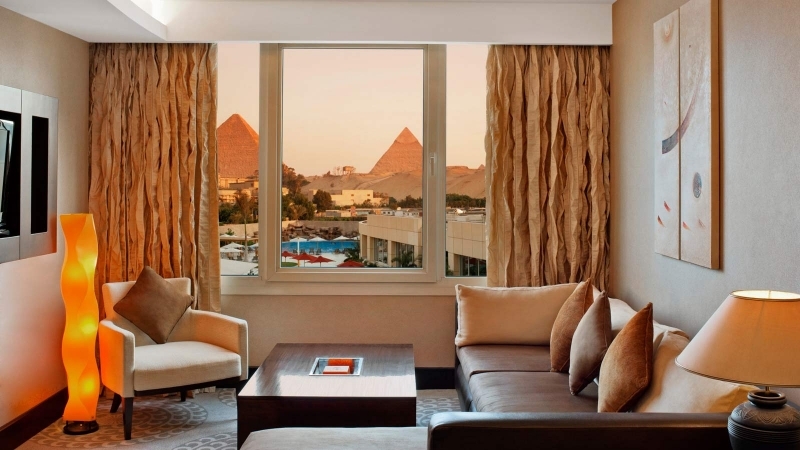 Le Méridien Pyramids Hotel and Spa is in an ideal location in the Giza district of Cairo and situated almost next to the Pyramids and Great Sphinx at Giza, Cairo. 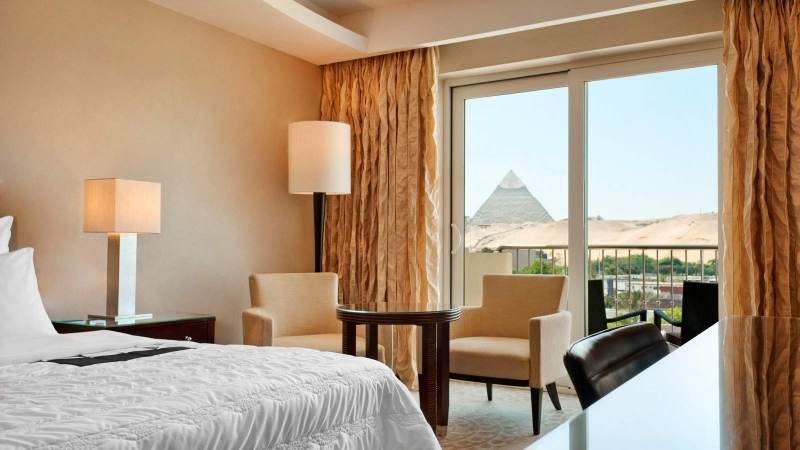 It is easily walkable to the Pyramids and only about twenty minutes drive from the Centre of Cairo ( traffic permitting) with tours downtown to the Egyptian Museum of Antiquities, Khan Khalili Bazaar and Old Coptic Cairo easily reachable. 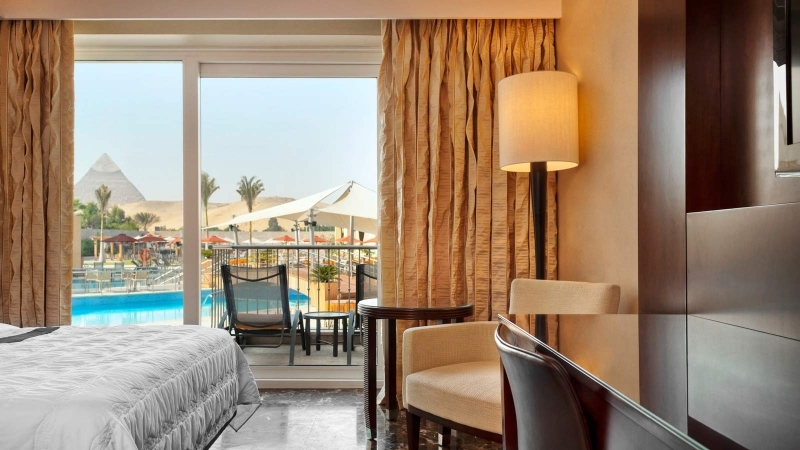 Le Meridien Hotel and Spa is a worldwide group of Hotels with an excellent reputation and all the on- site facilities needed by the tourists visiting this great capital City of Egypt. 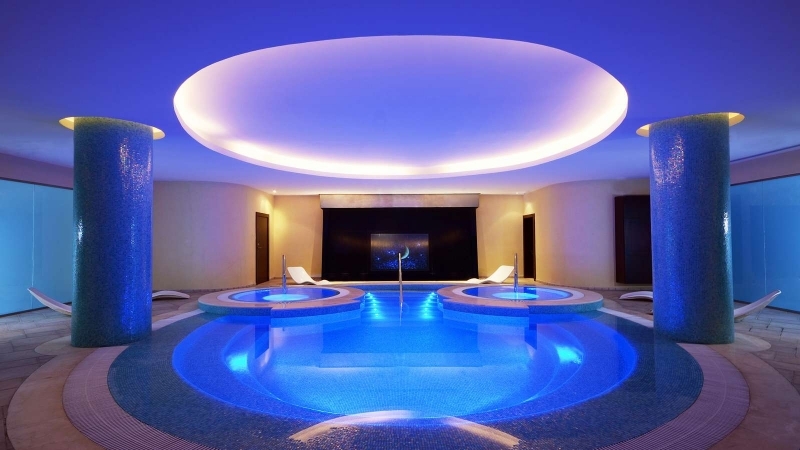 Le Meridien Hotel and Spa offers a whole host of services in the Hotel vicinity including relaxation and recreation with two exquisitely designed swimming pools, with waterfalls, four hydro-jet units provided underwater. 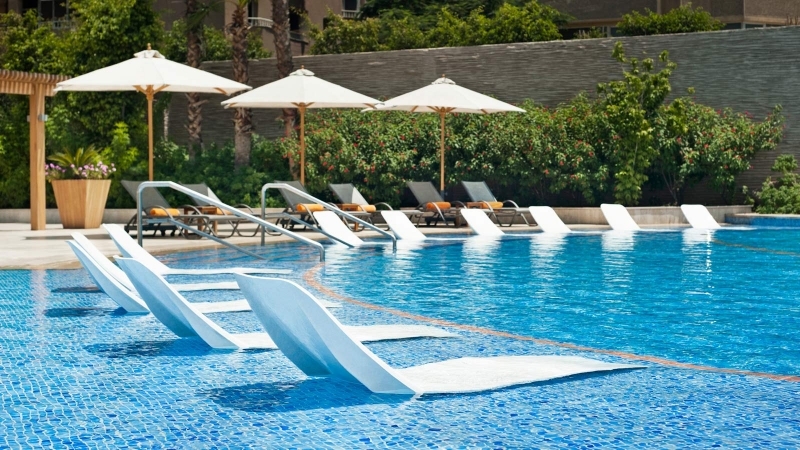 - 24-Hour SecurityLe Meridien Hotel and Spa offers a whole host of services in the Hotel vicinity including relaxation and recreation with two exquisitely designed swimming pools, with waterfalls, four hydro-jet units provided underwater. 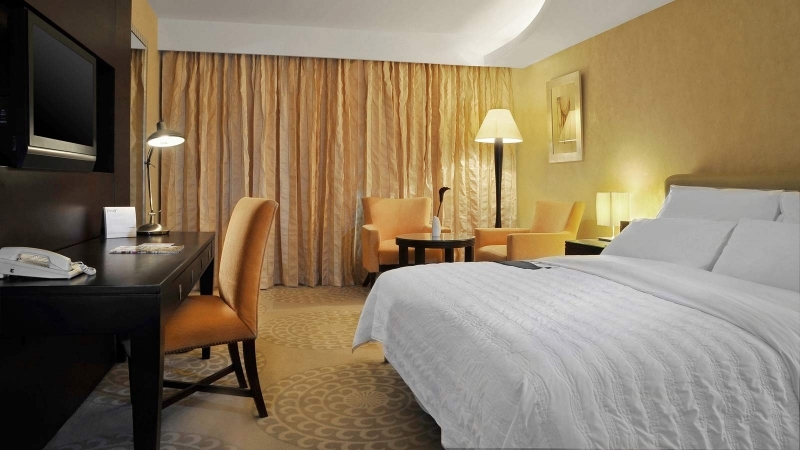 The rooms and suites at Le Meridien boast what they call ‘ a harmonious and elegant combination of pharaonic and European decor’, fully equipped with outstanding facilities to offer you the ultimate in comfort and luxury.Rooms and suites are furnished to meet your needs and expectations, with creating an inviting ambiance for you to experience and enjoy. - Available in smoking or non-smoking preferences. 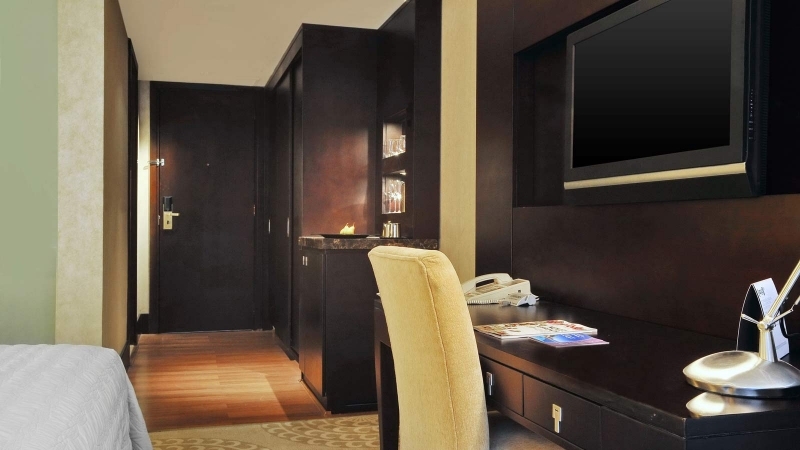 - Signature Bathroom amenities including telephone,hair dryer and makeup/shaving mirror. Junior Suite - The hushed atmosphere of the junior Suites, embrace spacious suites offer all modern comforts, as well as relaxing views. Guests at the Le Meridien Hotel and Spa can enjoy the exotic gourmet cuisine ranging from International, Mediterranean, Mexican, and Oriental menu to choose from, and live entertainment every evening to keep you entertained. 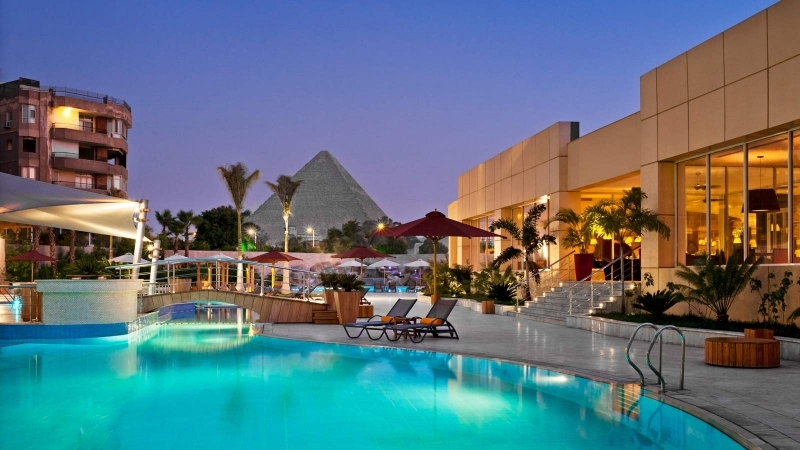 There is a 24-hour currency exchange service at Reception in the hotel with a small commission charge on exchanges (they will take British Pounds, US Dollars and Euros).Here in Egypt, the local currency is known as the Egyptian Pound. It can often be difficult to get smaller notes so it is advisable when you can, to change 200, 100 and 50 notes when you can to either 5, 10, or 20 Pound notes.Local ATM machines will also take a small charge for using the machine overseas. Cairo is a densely populated City with over 60 million residents. Therefore it is not advisable for tourists to travel on local transport such as the small mini buses, local larger buses or the Metro train service. They are very crowded and you will probably end up getting lost if you do not know your way around. Memphis Tours provides an excellent transport service with spacious vehicles taking you around Cairo, or further afield such as Alexandria. ( click on the link above). 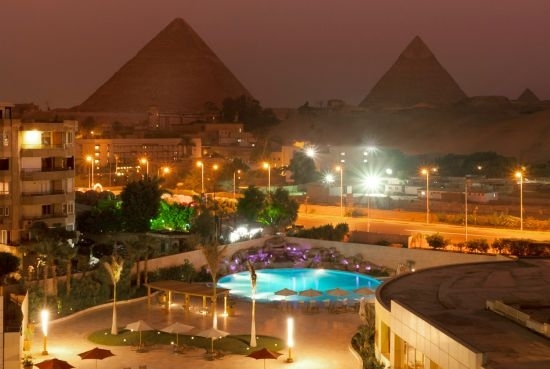 We are proud to be one of Egypt’s top Tour Operators established since 1955, therefore Memphis Tours offers you the client, an exceptional service catering for all of your needs when it comes to transport and tours. 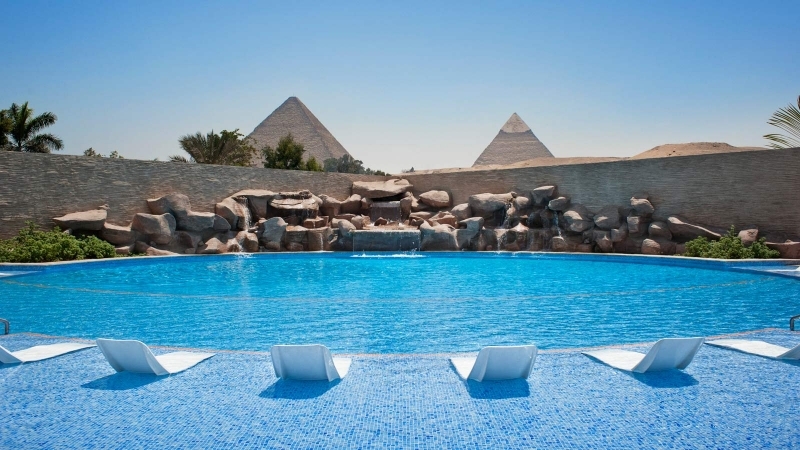 Nothing is too much trouble and we can offer you the regular tours in and around Cairo and Alexandria, but also offer ‘tailor made’ tours to suit your group or family size. Please click on the link below for all of our current 2014/15 day tours and excursions.